When people think of a brand, they think of logos, colour schemes and snappy captions that encapsulate a business’s values and standpoint. The real definition of a brand is actually more focused on the personal psychological connection a company has with an individual. Logos, taglines etc are all features that identify this personal connection as unique amongst what is offered by other marketplace competitors. Wrennalls commercial carpet cleaning Southport has been helping businesses sharpen their brand for many years. The element of trust and reputability is heavily influenced by appearance so if you are a high street business, this is a major battleground where cleanliness, appearance, and presentability all have a part to play. Remember: it takes seven seconds for someone to form an impression of you or your company based on what they see. Don’t let new customers slip through your hands because of dirty unkempt carpets, enquire now about professional commercial carpet cleaning Southport. Today we see the stakes for the high street economy raised even higher with online shopping and service consumption vastly outstripping the likes of bricks and mortar stores. 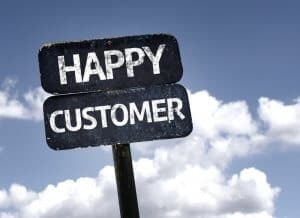 Now more than ever in this competitive economy it has never been more important to make positive connections with your customers so that they see you are reputable and professional. Luckily Wrennalls are here to help and have undertaken many cleaning projects that have helped transform businesses and maintain them as high street front-runners. Consider this scenario: you are in the market for an engagement ring and browse two similar rings at the same price point at two different shops. The first shop is spotless, tastefully lit with polished glass cases and you are met by polite and immaculate staff. The second jeweller is uninviting, harshly lit with worn carpets that are stained all over. The staff are also unattentive, less than presentable and casual in tone. If you were in this situation, who would you give your £2,100 to? Who inspires the most confidence. Who would you trust to provide you with the sentimental token with which you’ll make the most important decision of your adult life? You would probably opt to buy your engagement ring from the first shop. 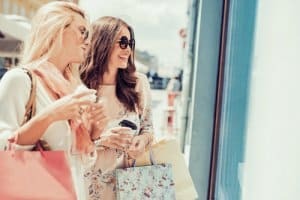 Unfortunately, in the high street battle for business, customer experience is the new front line. If you are a retailer or business of any kind you need to invest in your visual brand and that means thorough commercial carpet cleaning Southport from experts like Wrennalls. So far we’ve seen the psychological importance of cleanliness and how positive impressions can form consumer trust essential to building a strong, reputable and profitable brand. Cleanliness and hygiene also play a big part in ensuring a customer’s safety and well being. This also contributes to fostering that trust and affinity as above. If you own a business in Southport want to strengthen the connection with your customers, get in touch with Wrennalls, for through great value commercial carpet cleaning Southport. The consequences of poor hygiene and ill-maintained carpets can be a fatal blow to many businesses. The health and safety of all customers is your responsibility. Warped and damaged carpets can be a huge trip hazard and if a customer injures themselves as a result of these then you could find yourself on the receiving end of a serious legal action. Besides the financial implications of legal proceedings, your reputation is also at serious risk. One incident like this and your reputation as an unsafe site or incompetently managed business can spread like wildfire resulting in a decline of customers. Regular carpet cleaning can not only keep carpets looking clean and presentable, but it can also extend a carpet’s life and quality so that warping and creasing do not occur and create hazards. Dusty and dirty carpets are not good news for overall health. The millions of fibres in a carpet are ideal breeding grounds for different kinds of harmful fungi and organisms. Carpet moulds are especially concerning because they can grow within the carpet fibres and release harmful mycotoxin spores into the atmosphere causing allergic reactions, reduced immunity and further health problems. Dust mites are tiny creatures that live within dirty carpets and are also known to cause allergic reactions such as skin rashes and sneezing. Like toxic mould, they prefer warm enclosed spaces with moisture. Shops and businesses are the most at risk of mould and dust mites due to the high tempo of people coming off the street bringing layers of dirt and moisture into a heated enclosed shop space or restaurant. Consider this scenario: you are going out for a celebratory meal and choose a restaurant. As you enter the establishment you notice that it is adorned with old carpets that haven’t had a thorough clean in a while. This is enough to make some people walk back out of the door as it brings up the fundamental issue of trust: if this is how a restaurant approaches presentability, what does this mean in terms of the quality of food, service, kitchen hygiene and food preparation? This is a customer already questioning the reputability of your brand. Bad enough? Say you decide to sit down and within five minutes start to experience repeated sneezing attacks and unexplained itching on your arms and ankles. You would definitely not want to stay in that restaurant any longer and would probably tell everyone to stay away at all costs. There’s no denying that customers are very important, they are the source of your sales, bottom line and ability to survive. But what about the employees who are instrumental in running the business and delivering the customer experience? How do clean carpets and hygienic standards affect their ability to deliver great service? Another reason why you should contact Wrennalls for commercial carpet cleaning Southport is that the positives of a clean well maintained carpet will reflect well in productivity. By making sure moulds and dust mites are eliminated, and that carpets are safe and un-obstructive, employee health improves. This results in less sick days which means your business can operate at optimum capacity and deliver the great customer service responsible for forming genuine personal affinity between you and your customers. Want To Inspire Confidence In Your Brand? Call Wrennalls Today For Commercial Carpet Cleaning Southport! Wrennalls carpet, fabric and floor care specialists have been offering a nationwide service for over 30 years. Our commitment to pioneering the use of new cleaning technology and always striving for perfection has earned us a reputation as the best for commercial carpet cleaning Southport. Our specialist estimators will survey your area to gauge important information like the size, type and condition of your carpets. From this assessment, we will then create a bespoke cleaning package tailored to your requirements. We are SafeContractor & Safe Trader scheme approved with ISO9001, ISO14001 and OHSAS 18001 accreditation. you can enjoy peace of mind when procuring carpet cleaning services from Wrennalls. If you are searching for a carpet cleaner Southport, give Wrennalls a call on 01704 778 572 or get a free quote from our website today!